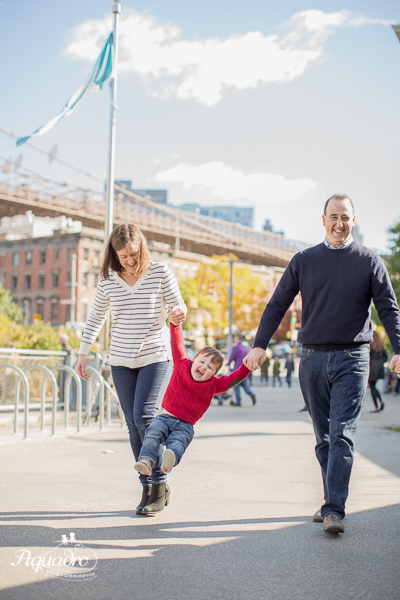 We're thrilled to be doing spring photo sessions again in beautiful Brooklyn Bridge Park! We're starting our sessions on the earlier side and ending later to take advantage of the best light of the day. We promise getting up earlier or staying a little later will be worth it, but if these times don't fit your schedule, send us an email at smile@aquadrophotography.com and let's work something out. 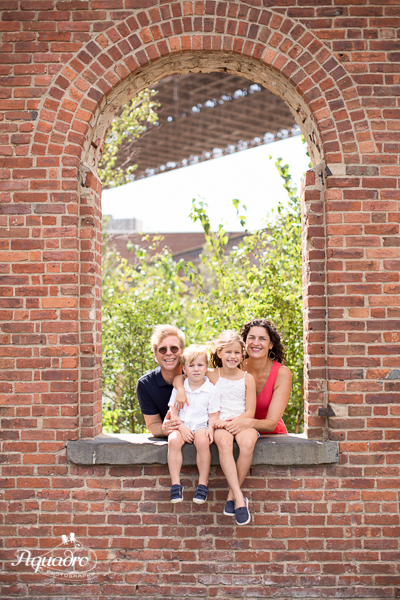 Each session costs $125 and will last for 25-30 minutes with two photographers. We'll meet at the benches on the north side of St. Ann's Warehouse. See map below! We've set the time slots to 35 minutes to provide a buffer between sessions. Additional digital images will be available for purchase after the shoot for $7.50 each. *A quick note about our post-processing philosophy... We believe everyone should have access to photography, so we keep our rates as reasonable as possible. We’re able to do so by minimizing the time spent editing images at the computer. The only post-processing we do is to make small adjustments (if necessary) for color, exposure, and highlights. We can do minor skin retouching upon request, and we’re happy to discuss photo recompositions on a case-by-case basis for $25 per image! Please book your session by clicking on the time you'd like below!